The Making Memories SLICE is now at Beverly's! 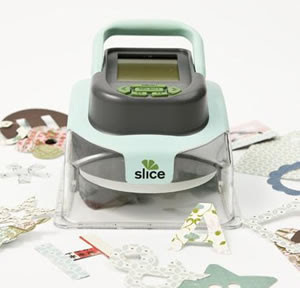 The slice is the first portable cordless design cutter, it measures less than 5 inches square and weighs less than 2 pounds. Select from hundreds of high-style images and instantly convert them into die-cuts ranging between 1" and 4" tall. Come into your local Beverly's and check 'em out.